I worked on this story all last night, I wanted to be able to share it today. Get tissues ready before clicking the link. So it would be my honor for you to meet Millie, Manny and Owen. Oh geez this is why I don't watch those animal police kind of shows anymore, I just cry and cry and cry. That is just awful!!! How is it that you don't at least drop them off at the SPCA before they get that bad!!!! I mean if I had absolutely no way to take care of one of my dogs it would be terribly painful but I would surrender then to someone before letting them suffer like that!!! I have wonderful news! Cindy, the foster mom of Millie & Manny has officially adopted them, it was announced today. Oh my I am SO SO SO SO HAPPY to hear that!!!!! Congrats Millie and Manny! yay for milly and manny!!! 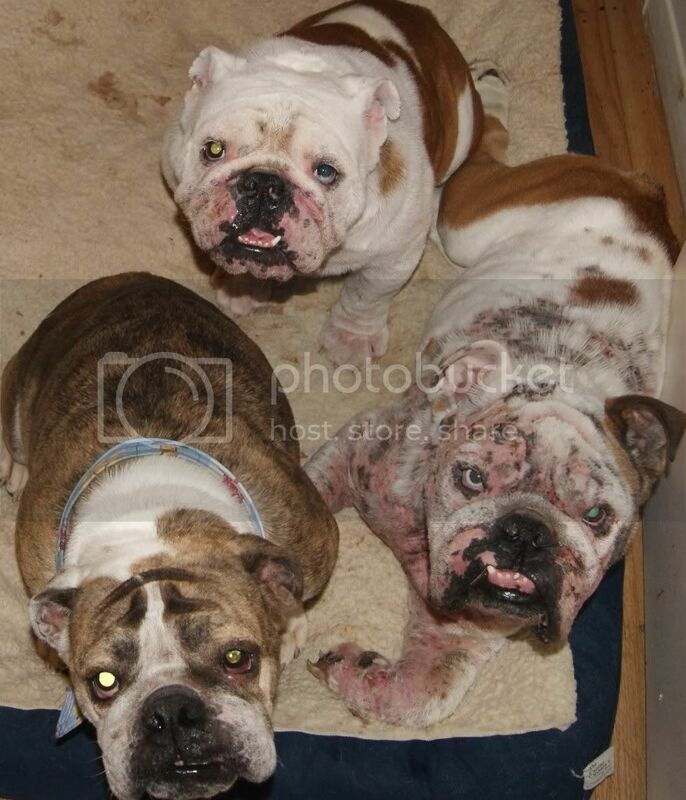 OMG....I am just balling....how can someone let 3 beautiful bullies get that bad! There is no way on god's green earth could I ever sit and watch that. All I can say is those that let them get that way will get it in return. Such a sad story and poor Owen. I am so happy for Manny and Millie. My heart is just breaking and all i want to do is run home and give my Brodie and Lola lots of hugs and kisses.